An authorized Lenovo Business Partner has upgraded the computer to offer the product with configuration as advertised above. The manufacturer box was opened by our highly skilled technicians in order to test and perform upgrade. Defects and blemishes are significantly reduced by our in depth inspection and testing with a upgraded configuration. 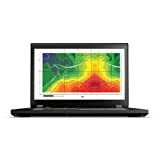 Lenovo ThinkPad P51 15.6'' Premium Mobile Workstation Laptop. Intel 7th Gen i7-7700HQ Quad-Core 2.8 GHz (6M Cache, up to 3.8GHz) Kaby Lake Processor, NVIDIA Quadro M1200M with 4 GB GDDR5 VRAM . 15.6" Full HD (FHD 1920x1080) Anti-Glare (Matte) IPS Display . Built in HD 720p Webcam with Dual noise-cancelling Microphones . 64GB RAM, upgraded. ThinkPad Precision Backlit Keyboard with NumberPad. Fingerprint Reader. 1TB Solid State Drive (SSD), upgraded. Intel Dual Band Wireless-AC (2x2) 8265, Bluetooth 4.1. Audio: 2 x Integrated Speaker, 2 x Integrated Microphone, 1 x 1/8" (3.5 mm) Headphone/Microphone Combo Jack. Windows 10 Professional 64 (Win 10 Pro). Ports: 1 x Thunderbolt 3, 4 x USB 3.0 Type-A, 1 x Docking Connector, 1 x Mini DisplayPort 1.2, 1 x HDMI 1.4 . Expansion Slots: 1 x ExpressCard/34 Slot. Media Card Slots: SD/SDHC/SDXC . Network: 1 x 10/100/1000 Mbps GigabitEthernet (RJ-45) . Watt Hours / Type: 90 Whr. Maximum Runtime: 6.1 Hours. Pointing Device: TouchPad and TrackPoint. Dimensions (WxHxD): 14.9 x 1.0 x 10.0\" . Weight: 5.9 lb. 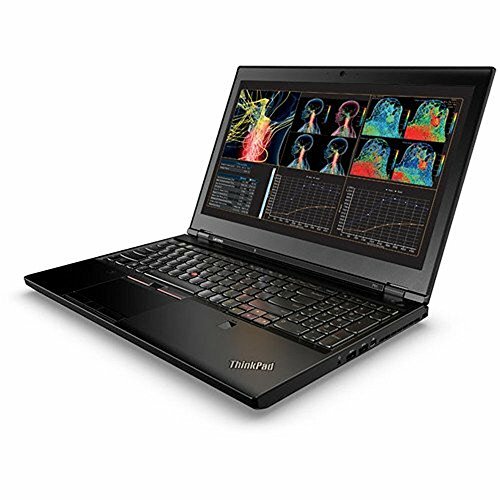 Thin at 0.96\" and weighing 5.9 lb, the 15.6\" ThinkPad P51 Mobile Workstation from Lenovo has been designed as a go-to PC for getting jobs done. It is powered by a 2.8 GHz Intel Core i7-7700HQ Quad-Core processor which allows you to run multiple applications simultaneously. If you need more power, the system can overclock to 3.8 GHz using Intel Turbo Boost 2.0 technology. 3-Year Lenovo Depot Coverage (1 year for the battery) - serviced by Lenovo, does not include coverage for memory and the solid state drive. Memory has a lifetime coverage, serviced by Crucial. 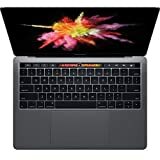 SSD has a 3-year coverage, serviced by Crucial or WD.